Mythopoetics and narrative inquiry: what’s the difference? Why did I hesitate when, last week, someone called my research methodology ‘narrative inquiry’? Why am I drawn instead to talking about ‘a mythopoetic methodology’? Narrative inquiry, as I understand it, involves the use of narratives – people’s stories – to get at dimensions of a phenomenon. It sees these stories or narratives as forms of evidence, as data that can be drawn on to inform useful insight about the way the world is. Even the most subjective strand of narrative inquiry – autoethnography, the telling and analyzing of the author’s own stories – has this sense of bringing to the surface, or subjecting to the gaze, pre-existing data in order to study it. Mythopoetics is about something slightly different. It’s about creating something new. It’s not about unearthing and making sense of what exists already; it’s not about gathering data. It’s about the scholar submitting him/herself to the novelist’s or the poet’s discipline, finding words for intuition and the products of the imagination, and then subjecting those words to the disciplined process of distinguishing between the clever and the authentic, the slick and that which resonates with how the writer actually experiences life. I’m wondering if the different approaches of Jean Clandinin and Margaret Somerville is significant here. Clandinin’s focus is on the stories that people tell and how these stories creates identity: stories to live by. Somerville talks about a methodology of postmodern emergence, an approach which privileges waiting patiently and with an open mind in the place of unknowing, immersed in certain almost meditative practices in order to allow meanings to emerge. Mythopoetics is in the Somerville camp. If I’m right here, about this distinction, and if I’m in the mythopoetic rather than the narrative camp, will my faculty – see that there’s room for the mythopoetic in a faculty collaborative research project? As we investigate, for example, the field of mentoring and professional development in a climate that privileges accountability and standards, will those leading the projects see a role for mythopoetics? As soon as I typed that sentence, the theme of my Prague talk popped into mind. What do stories do? They agitate, complicate, induct and animate. That’s the role they’d need to play in the bigger project, doing their work first on the research team itself, then as part of the research team’s findings. It’s important, for myself, to keep in mind that I’m not a researcher doing narrative inquiry, but someone trying to understand and practise a mythopoetic methodology. For months, maybe years, I’ve been wrestling with how my love of story (telling them, reading them, writing them) can be reconciled with the serious research/scholarship world I find myself in. Can a story be considered scholarship? I’ve asked myself (out loud, often on this blog). I’ve hacked my way (it’s not been unpleasant) through journal articles, and I’ve been connecting all this with things I’ve learned during my years as a teacher and a therapist, and I’ve finally come to the conclusion that, yes, writing fiction can be considered scholarly, both because writers are involved in a scholarly search when they’re trying to write a particular kind of fiction, and the act of publishing the resultant story is a scholarly act in itself, because it’s a powerful way of communicating insights; I’ve suggested, in my writing and in a recent seminar, that a certain kind of fictional writing is both a scholarly method and a scholarly form. If you’ve hacked your way through that last sentence, you’ll understand better my uncertainty about whether to laugh or cry. I’ve been trying to find the words to say what I’m thinking, my phrases are often frustratingly convoluted and unnecessarily wordy … and yesterday I picked up an article by Art Bochner who said all I’ve been trying to say in a simple, clear sentence. Bochner, A. P. (2012). Autoethnography as acts of meaning. Narrative Inquiry, 22(1), 155-164. Met authors. Bought books. Talked all night about writing. This is why I wanted to be an English teacher! Listened to Penny Kittle, Jim Burke, Kelly Gallagher, Tom Newkirk. Inspired. And Ken Robinson. Wow!! RT @pennykittle: @KellyGToGo What should children read? MORE. Amen to that! RT I would love to spend a week with #titletalk folks. Everyone brings 20 books and the week is spent rdg, talking writing rdg and so on. RT@pennykittle Hope you don’t mind. We just started a book club for your book Book Love. Already nearly 30 people signed on! Her flight is being called, so Sylvia turns off her iPhone. She can’t wait to get back, to sleep in her own bed for starters, and then to return to school, to her English classes, with all this energetic joy she’s feeling. The imagination. The consolations and inspirations of literature. The joys of writing and talking, deeply, about words that move us, shock us, make us laugh. The sense that she’s been given this privileged opportunity to set up, in her own classroom, mini-versions of the conference she’s just attended, places where her students will explore, through what they read and what they write, the worlds within and without. Three days after attending the conference, Sylvia sits at her desk at home in the small hours of the night, all the post-conference elation drained from her body. She’s spent the past hour writing about the English Departmental meeting earlier in the day, and is wondering whether she should risk posting it on her blog. Probably not. This is what she has written. I am lost for words. In fact I’m lost full stop. For most of last week I loved being an English teacher. Feeling myself a member of the tribe. Amongst my own. I bought books and sat in corners with colleagues sharing excited thoughts about what we’d been reading. I rubbed shoulders with authors whose words take me into other worlds, worlds which become my own world. I was part of a virtual and live community made up of those who love language and the imagination and stories. I felt alive in a way that I did when I was studying English at college, a part of a community of readers and writers, a member of a tribe who had access to a unique way of knowing that helps us see more of what is around and within us. I couldn’t wait to get back to my classroom, invigorated, inspired, renewed, clarified. Today I feel immersed in hopelessness. We spent our lunchtime today – me, the Head of our faculty, and another colleague – arguing about Enrico’s grade on the essay he wrote. Enrico is one of my students. He’s 15. I’ve been working with Enrico for months, now, trying to get him to see that writing can be a way of exploring things that matter. At first he was resistant, but then we talked one day while I was on lunchtime playground duty about the worried look on his face, and he told me that his younger brother had left home overnight and the family didn’t know where he was. We had a writing lesson straight afterwards, and I encouraged him to write, privately, about what was on his mind. Over the next weeks we developed it into a longer story, partly fictionalized, and he told me how he enjoyed the writing, how it felt good think, in a slow way, about some of the stuff that he and his family have been experiencing. So, before the conference, when it came time to work on the essay task that was going to be graded, I encouraged him to write an essay about loss. His brother had returned, but there was a time when Enrico didn’t know what had happened to him. He’d talked, too, about the loss of a family dog that had wandered off and never returned. So there seemed to be lots of material there for Enrico to draw on. He’d written the essay while I’d been away. It was full of heart-felt material, it was a piece of writing that mattered to him, but my colleagues insisted that it be given a fail. It wasn’t smoothly written, he didn’t support his argument by quoting from the text we’ve been studying, and he didn’t discuss the writer’s techniques. Furthermore, it took a different tack from the rather glib and restrictive stimulus quote that the students had been asked to respond to. The essay didn’t fulfill the requirements of the rubric, and my colleagues, or one of them at least whose opinions matter, had insisted that his essay be given a FAIL. My colleagues argue that we’re assessing his writing and not his character, but that’s not the way Enrico is going to experience it. And I can’t help thinking back to the English teacher’s conference, and to the talks given by all those authors who talked about the vulnerable parts of themselves which they explored and articulated in their books. They, or most of them, had the consolation of knowing that their writing had been published before, had the support of the editor and the publisher and probably lots of other folk. They’d been invited to our conference! Enrico, of course, has none of this. I was reminded at the conference that reading and writing are at the heart of our discipline, that English is core because, through it, we learn about our own and others’ world. I so want this insight to determine what happens in my own English classroom. It doesn’t, though. It can’t. I end up feeling guilty that I’m not preparing students like Enrico for the hurdles he’ll have to jump. Is this just my inexperience? Is this just because I’ve only been teaching a short time? Will I ever find a way of helping him ‘play the game’ while at the same time getting some deeper pleasure out of reading and writing? I feel empty and defeated. The above story is entirely fictional (though the tweets were inspired, and sometimes copied, from tweets I read following the NCTE English Teachers conference in Las Vegas earlier this month). It’s a story I’ve written quickly in order to help me think about a link I’m becoming increasingly interested in: the possibility that some of the external demands on English teachers are distracting us from our core disciplinary business, and are unnecessarily depressing for teachers (especially young ones like Sylvia) and students (like Enrico). Over my teaching life, I’ve thought a lot about stories: what they are and what they do. Initially my interest was in what they do. I discovered, pretty quickly in the early days of my teaching, that telling a story to my primary school students could calm a restless class, produce a kind of hypnotic spell over challenging students, and create a dream-like space that seemed to build relationship (between me and my students?) and community (a sense that we’d together taken part in some kind of meaningful and pleasurable ritual?). Stories worked, and as a young teacher I grabbed hold of anything that seemed to work. I began to wonder, then, why stories worked. What are they? 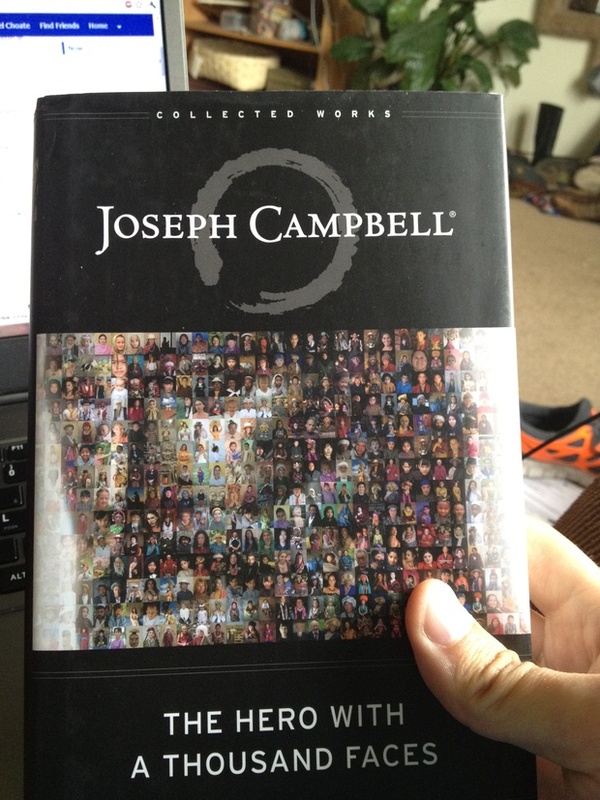 This led to an interest in the ideas of Freud and Jung, Joseph Campbell and James Hillman. Stories, these writers told me, were products of the unconscious. Just as myths were imaginative attempts to make sense of the way the world seemed to be, so stories were ways in which we gave shape and words to impulses and intuitions that came up from what Campbell once called the unsuspected Aladdin caves beneath the floor of the comparatively neat little dwelling that we call our consciousness. 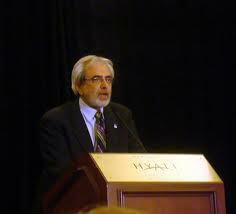 Telling stories, then, seemed to be an exercise in giving voice to truths. Stories were versions of realities that couldn’t be named – and were in some ways therefore inaccessible – in other ways. There’s the evil and the good, and between them is the sea and at each end of sea there are two boxes of mystery. At one side of the sea there are the good things, the sweet smelling, the comfortable and the good ruler. On the other side, there is the evil and it’s all enclosed in bushes, a sense of not letting the rest of the world know what’s going on inside. There are the sour smelling things, the funny and evil kind of things, and an evil kind of a ruler. And also on the evil side there is a part that the good side has conquered, and its armour is being taken off and it is being exposed and converted to the good. And in the middle of the sea, and between the two sides, there is a sun which is a meeting point, not very high where neither will fight, like a conference area where they talk. It seemed to me at the time desperately important that I understand this story, and that more generally in my practice that I understand what stories are. Were they products of the unconscious which, when brought up into the light, released some kind of energy? Were they clues to internal conflicts which needed to be addressed and in some ways resolved? Were they indications of a teleological impulse which, when identified, allowed the story-teller to move forward more confidently? What was a story? My fifteen-year-old client Joseph tells me a story. It’s an exciting story and I rush off and include it in a talk I’m giving to the local Jung Society. But then my next session with Joseph is unexpectedly flat, I have a disquieting dream and I find myself wondering if I somehow missed the point of Joseph’s story. So I talk to my supervisor Giles and I tell him the story (and the story of my confusion) and Giles tells me a story or two of his own. At our next session Joseph tells me some more stories (by now I’m using the word ‘story’ to describe many different kinds of things) and the stories I tell him back have incorporated in them some Joseph-bits and Giles-bits. This three-way story-telling (with cross-fertilisations) continues for over a year and I then write a thesis (another story!) about it. I’ve recently needed to think again about these two questions: What is a story? What does a story do? I’m involved in a project where we’re creating some fiction set in educational settings, and there’s renewed internal pressure on me to think about the nature of the stories we are about to write. What are they? Are they attempts at representing suppressed or unrecognized truths? Is that their potential value? Or are they, like the stories told in my psychotherapy practice, attempts to create an affect, attempts to create (both amongst the members of the project team and amongst readers of the stories we produce) a series of conversations and networks of relationships? Are we wanting to name truths, or create responses? Of his paintings, Picasso famously said: ‘the artist must know the manner whereby to convince others of the truthfulness of his lies’ (1923:7). This is what I am seeking to do with the stories in this section, to use literary techniques and the sources of research data to create the truths of professional and personal lives. Thus the purpose of the book is identical with the central backbone of any art/istic endeavor, which is to tell the truth as one sees it. (p17 of Clough, P. (2002 ). 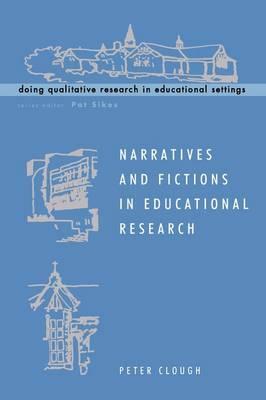 Narratives and Fictions in Educational Research Buckingham, Philadelphia, Open University Press. I’ve been reading more of Peter Clough’s book, which is centred around five fictional short stories, each set in a school and each deeply unsettling (to me, at least). They are complex stories, and full of tensions and ethical challenges. There are no simple truths about either the issues or the characters. * These are ‘ethnographic operas’ that I imagine Deborah Britzman applauding, where characters negotiate (always problematically, often unconsciously and inarticulately) competing worlds. Peter Clough’s stories are clearly evidence-based. In his book, he is explicit about where the evidence came from, and how he used the evidence to create these fictional short stories. But the evidence isn’t drawn upon to prove anything. He argues that narratives and fictions seek to evoke rather than to explain (73) and need to be judged according to their verisimilitude rather than their verifiability (15). When I reflect on the impact his stories have on me as a reader, I can see how this kind of educational writing achieves something that more conventional research or scholarship cannot do. It takes me behind the scenes, into the lived lives of people involved in educational settings. It troubles any superficial notion I might have that solutions to difficult policy issues is simple, because lives are at stake, and lives are complex. Conflict in real life is not only between generations, classes, ethnic groups or economic interests; conflicts in real life are also internal to individuals. Outcomes (tragic or otherwise, though all of Clough’s stories have tragic outcomes) are not just the result of one group having more power than another, but of one set of an individual’s inclinations proving too strong for another set. The ethnographic opera is played out on many different levels, within and between characters, within and between groups. Britzman, D. (2003). Practice Makes Practice: A critical study of learning to teach, revised edition. Albany, State University of New York Press. Clough, P. (2002 ). Narratives and Fictions in Educational Research Buckingham, Philadelphia, Open University Press. Around about this time last year, I visited the Morgan Library and Museum in New York. The library itself is breathtaking, a grand room full of first edition books, priceless art works, and displays of fiction writer’s manuscripts and letters. To be in the room is to be in the presence of scholarship; this is what is must have been like to have stood inside one of the great libraries of the ancient world, in Constantinople or Alexandria. I find places like this to be inspiring. They stir up in me yearnings to be a part of the world of scholarship, to join those reading and writing their way into greater insight or clarity about the way things are. I discovered, while at the Morgan, that they had a Dickens exhibition running. Dickens is my favourite writer. He also stirs up in me yearnings to be other than what I experience myself to be. When I read a Dickens novel or biography, or go to a Dickens exhibition, I find myself wanting to write fiction about the worlds of teachers and students, about the lifeworlds or the mythopoetics of classrooms. This morning I opened a book about narratives and fictions in educational research. Narrative … opens up (to its audiences) a deeper view of life in familiar contexts: it can make the familiar strange, and the strange familiar. As a means of educational report, stories can provide a means by which those truths, which cannot be otherwise told, are uncovered. The fictionalization of educational experiences offers researchers the opportunities to import fragments of data from various real events in order to speak to the heart of social consciousness – thus providing the protection of anonymity to the research participants without stripping away the rawness of real happenings. … [These] are stories which could be true, they derive from real events and feelings and conversations, but they are ultimately fictions: versions of the truth which are woven from an amalgam of raw data, real details and (where necessary) symbolic equivalents (Yalom, 1991). I wonder if this is where these recent blog posts are leading me and why I find Britzman’s phrase about ‘ethnographic opera’ so apt. I’m guessing that this is why it seems right that my blog is called ‘Degrees of fiction’.